There are many fun and interesting things to do while you are in Schertz, Texas. Whether you are swimming at Pickerel Park or strolling through Forests Ridge Park, a toothache is sure to crimp your style. Even though you might be tempted to ignore the pain, it is vital to get it checked promptly. Schertz has many options when it comes to general dentists and specialists to help you during your dental emergency. At emerencydentistsusa.com, we have put together a list of local dentists and specialists in the Schertz area. The list has both general dentists and specialists such as pediatric, orthodontists, periodontists,oral surgeons, and more. If you need a dentist, go through the list, select a dentist, give them a call, and set an appointment. If you want further help, call our toll-free dentist finder hotline. When you place a call to our hotline, our associates will help you in your quest to find a dentist or specialist that can help you. We are able to help you through the process and can even schedule your first appointment for you. We suggest you arrive a minimum of 15 minutes early to your appointment. This time allows you to fill out necessary paperwork. Bring along your ID, insurance card, and your chosen method of payment. In Schertz, you can feel confident you will find the dentist or specialist you need. There are many dental options available from general dentists to specialists. Generally, a patient with a toothache should first see their general dentist to receive proper care. If they are unable to fully perform the procedure they can refer you to a specialist that can help you. 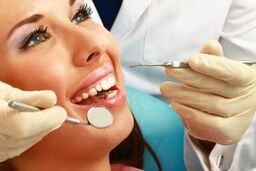 Description: Oasis Family Dental is a comprehensive dental practice whose goal is to provide excellent service in a comfortable environment. Many different services are provided such as general, cosmetic, oral surgery, periodontics, endodontics, and more. The staff will files your insurance claims for you. There are payment methods, financing, and the office accepts most standard payment methods. Description: At Schertz Family Dental the goal is to provide you with quality care. This office offers many dental services such as general, cosmetic, restorative, comfort dentistry, and emergency care. They accept most insurance plans and do accept most common forms of payment. Financing is available through CareCredit for your convenience. Description: Dual Arc Dental strives to provide the best possible care while keeping you comfortable. They offer a membership program for patients to help with cost. They provide a wide range of services such as dental implants, x-rays, endodontics, oral surgery, whitening, dentures, and much more. The office offers financing through CareCredit for easy payment options. Any tooth pain that lasts more than an hour needs to be treated promptly by a professional. This type of pain is an indication of a serious issue and swift action can prevent further problems from happening. If the pain you are feeling is a result of an accident, go directly to the ER to seek treatment. Before visiting a new dentist, take the time to research the dentist. Check on their licenses and credentials by visiting the Texas Dental Association website and typing in the dentist’s name.